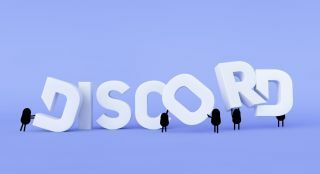 Discord, which started selling games through its chat platform in August, will allow developers to self-publish games with a 90/10 revenue split from 2019. This comes not long after Epic announced that it would offer a better split than Steam, only taking 12 percent of the game’s revenue. “We talked to a lot of developers, and many of them feel that current stores are not earning their 30% of the usual 70/30 revenue share,” reads the announcement. “Because of this, we now see developers creating their own stores and launchers to distribute their games instead of focusing on what’s really important — making great games and cultivating amazing communities. So from 2019, Discord is turning its store into a “self-serve game publishing platform”. Any developer will be able to publish on the store and keep 90 percent of their revenue. The remaining 10 percent covers operating costs, apparently, and could be lowered. Everyone who uses Discord to chat already has the store, so it’s got a lot of potential customers—200 million according to Discord—so it's probably starting to look pretty attractive to some developers. It's already got an eclectic catalogue of mostly indie games.